Have you heard of apple cider vinegar? You probably have. It’s a product so versatile you can use it to heal almost anything … right? Well, sort of. When used correctly, apple cider vinegar might be able to help improve many different areas of your health. Here are a few examples you may not have heard of yet. No matter what age you are, fighting against any degree of acne is the absolute worst. Thankfully, you can use apple cider vinegar to control your acne, especially if you tend to have more oily skin. Apple cider vinegar will really dry out your skin, which is helpful as long as you use it in moderation. Apple cider vinegar is cited for many health and beauty benefits, and what it can do for your skin is only the beginning. It can slowly work wonders both inside and outside your body, making it versatile and almost magical (but not quite). Every time you eat, you introduce sugar into your body. Most of the time, this is a good thing: contrary to what many believe, you actually need sugar in your body to stay healthy. It is healthy … as long as you control it. 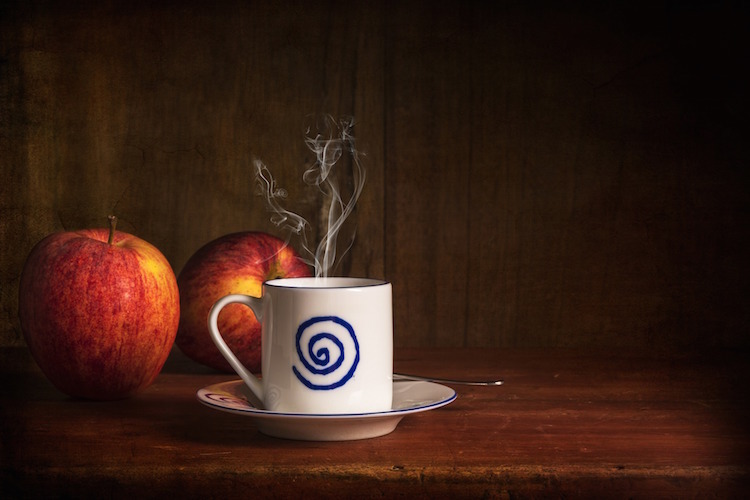 Apple cider vinegar may be one way to control your glucose levels, otherwise known as your blood sugar. Consuming apple cider vinegar before meals has been shown to lower blood sugar levels, which is what people who live with diabetes need to do in order to stay healthy. It’s good even if you don’t have diabetes, though. We have all experienced the effects of high or low blood sugar before (racing heart, dizziness) and it’s best to avoid them. Because consuming apple cider vinegar might be able to help you control your blood sugar, it might also be able to help you lose a little weight. When your blood sugar is all out of whack, so is what you eat. When you have low blood sugar and reach for the nearest source of carbs you can find, it’s most likely going to be something unhealthy, and you won’t be able to lose that way. Controlling your blood sugar by consuming apple cider vinegar might be the key to success you have been searching for. Because apple cider vinegar is so acidic, using it as an alternative to mouth wash actually has a multitude of benefits to your oral health, including keeping your teeth whiter over a longer period of time. Swishing a little apple cider vinegar around your mouth can help remove stains that prevent your teeth from staying as white as they could be. Doing this, as a bonus, can also fight bacteria in your mouth and leave you with cleaner-smelling breath. Your body is filled (and coated) with all kinds of bacteria, the majority of it being bacteria that actually helps you. Some bacteria on the surface of your skin leaves behind a nasty odor, and apple cider vinegar might be able to help you get rid of that. Odor-causing bacteria can be combated with something as acidic as apple cider vinegar, so apply it under your arms, for example, with a cotton swab to do what you can to get rid of that bacteria and reduce body odor. Waking up with a sore throat in the morning is never fun to experience. If you are looking for a quick way to soothe the scratchiness and ache before you can get to a drugstore, use apple cider vinegar. Just mix a teaspoon of apple cider vinegar into an eight ounce glass of warm water and gargle with it as often throughout the day as you can. This will help break up phlegm and ease the soreness temporarily. For some reason, having a cold, or worse, is one of the worst feelings in the world. You’re not sick enough to lay around and do nothing, but trying to function when you can barely breathe is still a nightmare. The acidity of apple cider vinegar may be able to help thin out and break up mucus in your sinuses. A healthy heart really is a happy heart. The heart is responsible for circulating blood throughout your body. The harder it has to work, the more you are at risk for developing heart disease. Can apple cider vinegar help here, too? A few spoonfuls of apple cider vinegar may be able to help control your cholesterol and reduce your chances of developing heart disease. However, it’s much more likely that, similar to blood sugar and weight loss, consuming it will make you more likely to eat better, which is what will keep your heart health in check. If you think you are having problems digesting your food, and you aren’t quite sure of which remedy to try next, see if a little apple cider vinegar helps. Apple cider vinegar is acidic, and drinking a little bit of it mixed with water before a meal might be able to improve your ability to digest the food you are about to eat. Acid in your stomach is what helps begin to digest your food, so having the acid from the vinegar already in your stomach may help. Ever have an itch you just can’t seem to scratch? Once again, apple cider vinegar’s acidity is here to save the day (or at least, relieve the itch). Applying apple cider vinegar to the places on the surface of your skin that itch might be able to restore pH balance to your skin and stop it from itching. Give it a try and see if it works for you. From your skin to your heart to your digestive system, apple cider vinegar is an effective remedy for many common ailments you might experience. Give it a try and see how it might be able to improve your health and well-being.